VABD shares space with the Rhodes Wellness College – Rhodes Wellness College is a national leader in providing exceptional wellness, life skills and experiential training. Dance Vision – your source for everything ballroom dance related. Teaching the World to Dance through dance videos, dance DVDs, dance music, DVIDA Syllabus from Dance Vision. Pro DVIDA – ProDVIDA (Professional Dance Vision International Dance Association) is a professional teacher organization that is open to all professional dance instructors and competitors. The goal of ProDVIDA is to provide the professional with top-notch service and valuable tools and to identify those instructors who exemplify the highest levels of skill and ethical standards, through training, experience and certification. 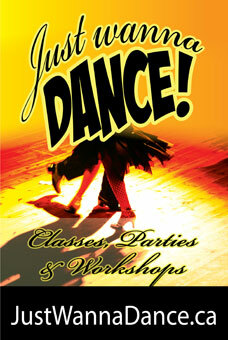 Avalon Dance Shop – Specializing in Ballroom Dance Shoes, Apparel & Accessories. VanStart Hotels & Directory – Local Web Directory for Vancouver – Links for hotels, cars, news, real estate, weddings….dance classes! A Canadian Championship winning dancer, Katya has also been seen on the big screen with Antonio Banderas in the real-life inspirational story of a dance instructor and Imagen award winning movie "Take The Lead", as well as in the movie "Shall We Dance". We're honoured to be working with Katya to bring you the very best in instructional technique. If you're in it for the fun and fitness we offer social dance classes with the most efficient and respected teaching methods with friendly, experienced instructors.